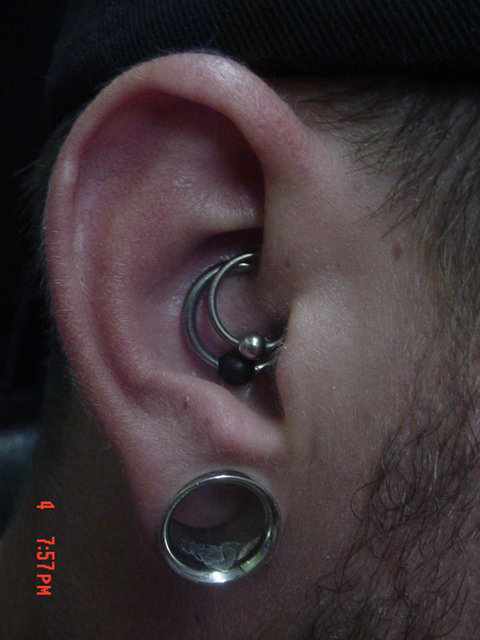 Rook PiercingThe elevated tissue fold below the Helix is called the Rook. 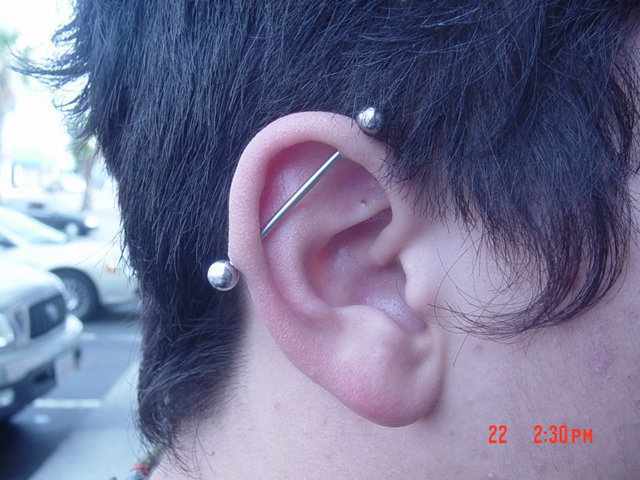 Rook piercing can be a part of industrial via rook piercing as well as can be a separate piercing. 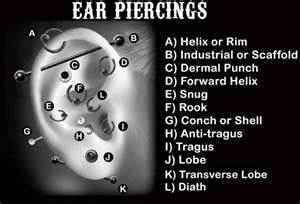 A daith piercing is a perforation of the ear cartilage, primarily on the outer rim of the ear closest to the head. 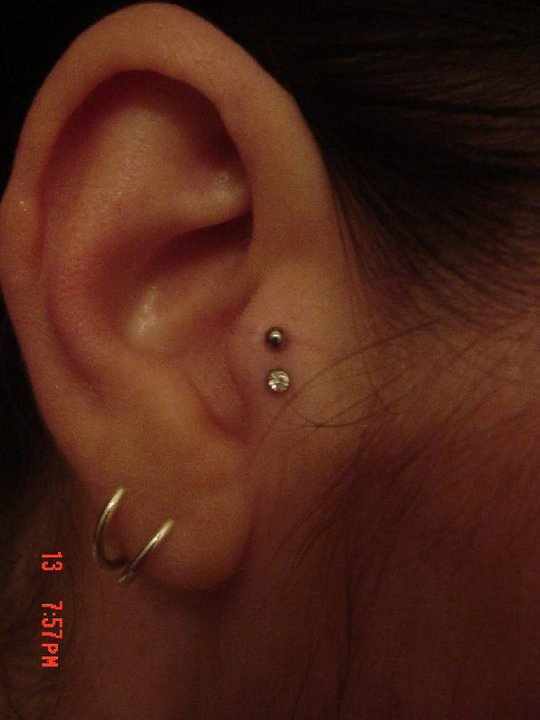 Tragus Piercing. 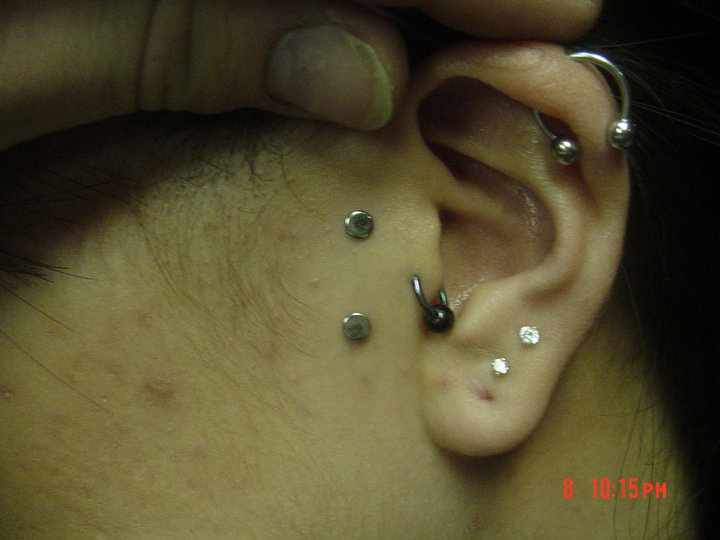 Sometimes called a "tab" piercing, the tragus piercing is done through the small tab like protrusion or flap found immediately in front of the ear canal. *Many of these pages contain documentation of dangerous or life-threatening activities of questionable legality — this website, webmaster, Tony Snow or any other affiliates or associations accepts no responsibility or liability for the actions of others and urges anyone interested in this subjects to educate themselves completely and seek professional assistance. Experiences, articles, and pictures are not an endorsement and not always representative of the opinions of those involved in the creation, maintenance, running or featured parties on this website.